Why would Pittsburgh and Harrisburg say no to Propel merger? The tension-filled dynamic between the Pittsburgh Public Schools and the Propel Schools network took on a new twist when the Pittsburgh board denied Propel's application to merge its 13 schools into one unit. The state Department of Education also denied Propel’s request. State officials said they stand ready to help Propel address the concerns raised in any “subsequent applications,” and Propel indicated it plans to continue to pursue the merger. Pittsburgh's denial rested largely on the fact that it can't get answers from Propel on whether its money is spent exclusively on Pittsburgh students, while the state has concerns about Propel's lack of transparency, special education program and financial stability. As of June, there were 1,124 Pittsburgh students attending Propel schools, with the district paying $14,924 for each regular education student and $33,651 for each special education student. School districts pay tuition for each student from within the district who attends a charter school, with the tuition rate based on the district’s per-pupil expenditures. "If they put all of this money into a big fund, how do we determine that they don’t use the money for our kids at other Propel schools?" 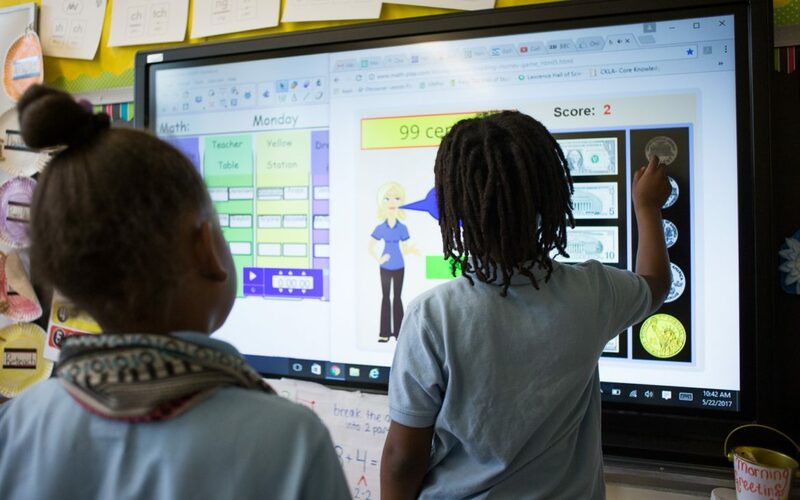 Last month, Propel submitted applications to the state and the seven school districts in which its charter schools operate to become a Multiple Charter School Organization. MCSO is a new designation under the state Charter School Law that allows multiple charter schools to merge into one entity and operate under one board and one administration — if they meet certain conditions. Propel didn’t respond to PublicSource’s question about why it submitted the application. It already operates with a single board and superintendent. But the MCSO designation would allow it to hold all seven charters under one organization and would permit students to matriculate from one charter school to another for an uninterrupted education from kindergarten through 12th grade. The Pittsburgh school board rejected Propel’s application on June 18, followed by the state Department of Education [PDE] on June 20. The other six districts took no action within the allotted 45-day period, which is an assumed approval. Mike Belmonte, board vice president of the Woodland Hills School District, said the board also discussed concerns that Woodland Hills tuition money could be used on other districts’ students if the Propel merger took place. But, he said, the board chose to take no action when its solicitor advised that a denial could end up in costly litigation. Penn Hills Superintendent Nancy Hines said in an email that her board also acted on the advice of its solicitor when it took no action on the Propel MCSO application. Propel released a statement to PublicSource that did not address the specifics raised by the education department or Pittsburgh district officials. “We believe that we have met all of the requirements for consolidation. Our attorneys are advising us on how to best work with PDE and PPS to resolve this matter. We are hopeful that we can find common ground and avoid a long legal dispute that would waste public money and we are committed to seeing this process through to its completion,” the statement said. PPS school director Sylvia Wilson and district solicitor Ira Weiss said they could not get answers about finances from Propel, nor could district staff determine whether Pittsburgh tuition funds are used solely to educate Pittsburgh students or if they are used to support the Propel central administration or Propel schools that don’t have a majority of students from Pittsburgh. “If they put all of this money into a big fund, how do we determine that they don’t use the money for our kids at other Propel schools?” Wilson said. This PublicSource interactive shows how many Pittsburgh students attended each of the Propel schools and other Allegheny County charter schools in the 2016-17 school year. Audit reports from Propel Schools dated June 30, 2016, obtained by PublicSource through Right-to-Know Law requests show not all tuition money paid to a Propel school stays in that school. Each Propel school contributes to centralized services and programs, though there is no breakdown of the funds by school district. According to the reports, Propel schools contributed a total of $6.4 million in the 2015-16 school year to Propel Schools Inc. as part of a “charter school federation agreement.” According to financial statements filed with the IRS, Propel Schools Inc. is headed by Superintendent/CEO Tina Chekan and is located at the Carson Street address on the South Side, which serves as Propel Schools administrative headquarters. Another $1.5 million was paid that year by the Propel Schools to the Pittsburgh Urban Teaching Corps [PUTC], a program Propel operates in partnership with Chatham University. Through PUTC, Propel pays tuition — valued at $40,000 — and a $20,000 stipend for professionals who are interested in obtaining a master’s degree in education from Chatham and a Pennsylvania teaching certificate. In return, the teachers who are specially trained to work in urban schools agree to teach at Propel for three years. Propel has a separate foundation -—The Propel Schools Foundation — that raises money for the schools and school programs. According to its IRS filing for 2016, it had $11.7 million in assets. The Propel schools also contributed $1.5 million for a mental health initiative and $546,632 to Propel’s Teacher Career Pathways program, which provides bonuses for teachers who seek ways to have impact beyond their classrooms by helping to coach or train colleagues. Wilson also questioned how much of Pittsburgh’s money may go into advertising purchased by Propel. A PublicSource story from August showed that Propel spent $174,032 on various forms of advertising in the school years 2014-15 through 2016-17. While Pittsburgh’s objections centered largely on how tuition money is spent, the state’s denial is based on concerns about Propel’s proposed special education program, lack of curriculum details, lack of transparency, insular board structure and low fund balances in its school budgets. "We are hopeful that we can find common ground and avoid a long legal dispute that would waste public money..."
In its decision letter, the PDE points out that in the 2016-17 school year only one of Propel’s eight locations — McKeesport — had a school performance profile in the top 25th percentile. A requirement for merging under the new law is that at least one school be in the top 25th percentile, so Propel has met that standard. Pittsburgh, in its response, noted that neither of the Propel schools in the city limits — Propel Northside and Propel Hazelwood — met that mark. The denial letter from the state Department of Education focused, in part, on Propel’s plans for special education students. In its MCSO application, Propel said the merger of schools would allow it to concentrate “low incidence students” at particular schools. But the state said Propel failed to identify which students were labeled as “low incidence,” which schools they would be concentrated at and how the concentrated program would meet the individual needs of students. It also pointed out that concentrating low-incidence students at particular schools could violate the Least Restrictive Environment mandate set by the Individuals with Disabilities Act. The state also noted as a “significant area of concern” that Propel failed to identify an administrator who would oversee Propel’s 681 special education students. In response, Propel’s statement said: “Propel has an outstanding faculty who serve all students well, including the 17 percent of our student population that require special education services.”The state also raised concerns about how members are elected to the Propel board and how that process appears to make it difficult for parents and community members to be appointed. Denials by both the state and Pittsburgh district note that an individual can only become a board member if they are already a member of the Friends of Propel, but Propel did not provide information to Pittsburgh or state officials on the group or how its members are selected. PDE said that, for Propel to become an MCSO, it must provide “a clear description of the method for the appointment or election of members” to the board. Additionally, the PDE denial said there did not appear to be plans to ensure “sufficient diversity and geographic balance on the board,” where many members appeared to either live or work in Pittsburgh. PDE officials could not locate board meeting agendas or minutes on Propel’s website making it difficult for parents or other community members to see what actions were taken. PublicSource explored the issue of transparency and accessibility among charter schools in this story. It found that Propel’s website in August 2017 did not list meeting dates, times or locations. At the time, a Propel spokeswoman said meeting information would be added to the website for the 2017-18 school year. That information is now available using the search function on the Propel website. Concerning finances, the state denial letter said “overall finances have been in decline over the past four years” based on information provided. The Government Finance Officers Association recommends a minimum unrestricted fund balance of no less than two months of general fund operating revenue. The state letter indicates that none of the Propel schools met that level in the three prior years. On curriculum, the department said because Propel did not submit its entire curriculum, it could not review whether it is aligned to the Pennsylvania Academic Standards. Reach Mary Niederberger at 412-515-0064 or at mary@publicsource.org. Follow her on Twitter at @marynied. Capitalist charter schools have got to go….